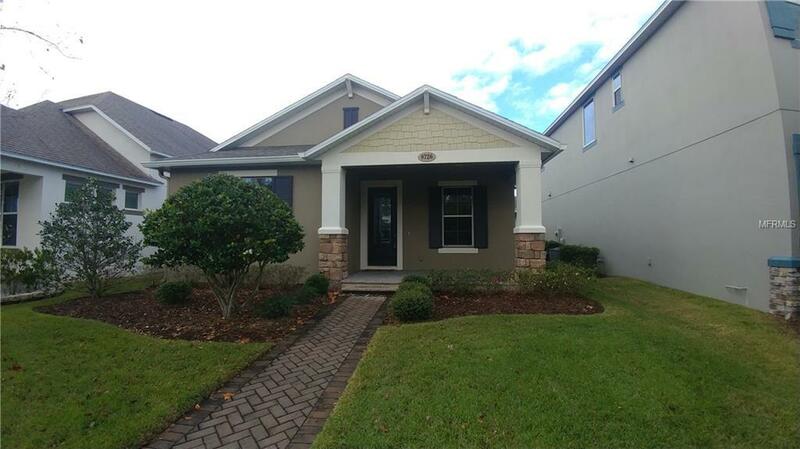 Move into a 3 bedroom 2 bath home with den in Lake Nona, Home has granite counter tops up graded cabinets, with ceramic tile in great room, kitchen.and bathrooms Bedroom are a split plan with carpet . Master bath has shower and a large garden tub. a rear entry 2 car garage, laundry room , and a den for a formal living,dinning or office. Lawn care included .Community has playgrounds, large clubhouse, on-sight HOA office and pool. Conveniently close to the 417, Beach Line 528, Medical City, OIA Airport and Medical City.